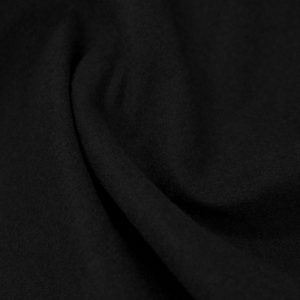 This fabric is highly versatile for many uses, Felt fabric is a dense non-woven fabric matted and compressed fibers without any woven weft or warp fiber. Ideal for padding effect excellent for lining and to create a thick dense surface. One of the benefits of this fabric is that the edges can easily be cut with a scissors or craft knife, without the worry of the fabric fraying or the threads coming loose and the fibers unraveling. Odourless, harmless to human body, uniform thickness throughout the fabric. Suitable to glue down on to many surfaces, floors, wood, stone, MDF, concrete, metal etc..
Used in a variety of trades and applications, DIY, industrial, commercial, retail, exhibitions stands, motor trade cars and vans, Arts and crafts, etc..
underlay, soundproofing, insulation, arts and crafts, hats and berets, specialty appliance parts, blankets, cushion covers, rugs, mats, shoe insoles clothing stiffener, decorations, etc.. The uses for this felt fabric are endless. Car ceiling, car or van boot lining , car or van end trim, car seating, car floor mat, car center console, car glove box interior, car door card trim, car tailgate gate line, gaskets, polishing pads, industrial application for machinery and sealants, etc. Request a fabric sample to feel the quality of this Felt fabric.